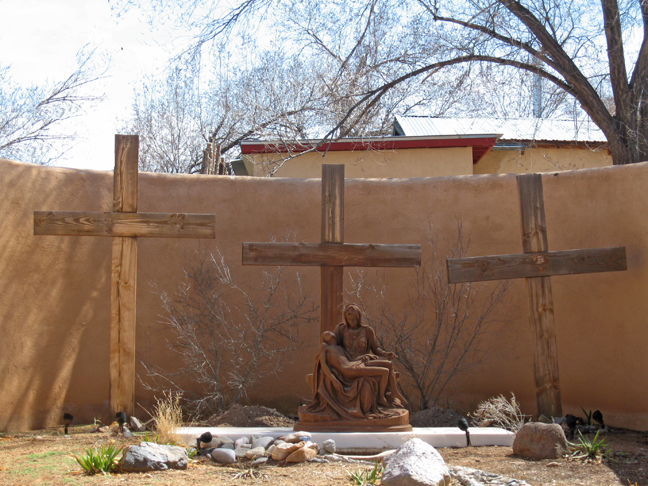 Golden, New Mexico, on the Turquoise Trail, is having a bit of a renaissance these days. 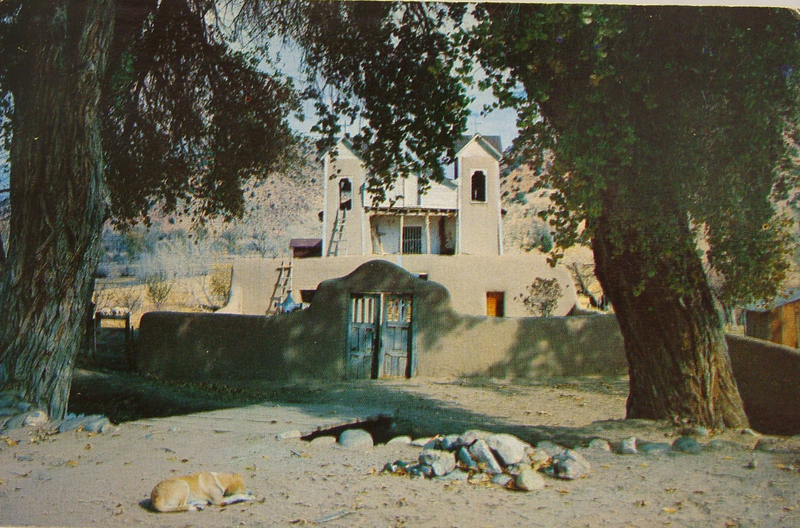 It’s still a ghost town but the few houses have been restored and the old Mercantile is open in the summer for the tourists. 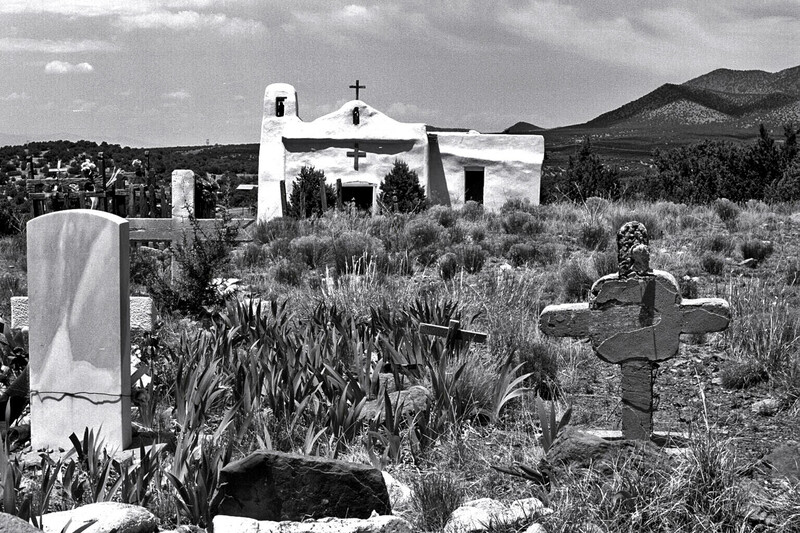 Built in 1830, he San Francisco Church off Highway 14, doesn’t look much different than when I was shooting black and whites in the mid-70’s. 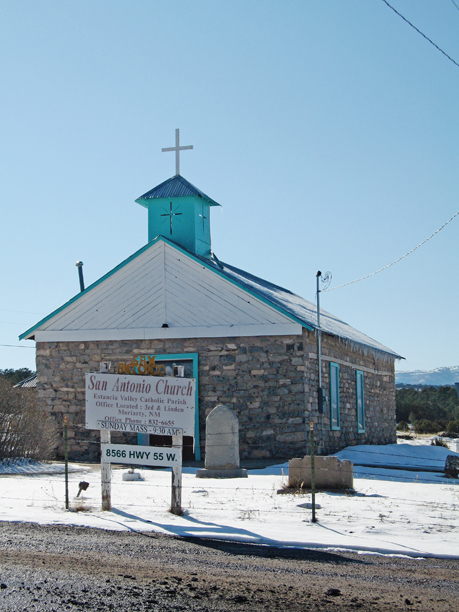 Restored in 1960 by Fray Angelico Chavez while he was the padre of St. Joseph’s Church in Los Cerrillos, the graveyard has mostly escaped the vandalism common to New Mexico’s abandoned mining towns. 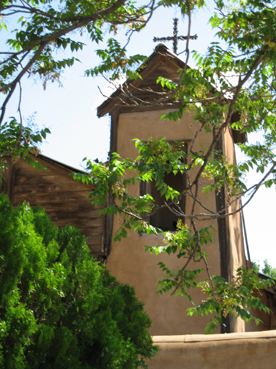 Manzano is one of New Mexico’s small almost ghost towns tucked away in the Cibola National Forest. 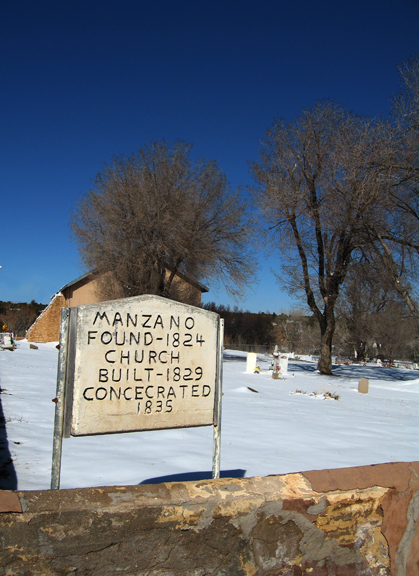 With an estimated population of 54, the main attractions are its photo opps and the legendary Manzano Mountain Retreat. For 35 years, the working apple farm has produced 4,000 bushels of apples and 3,000 gallons of cider annually. 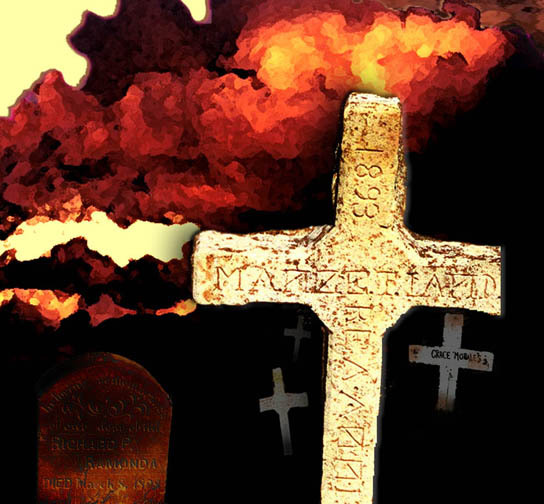 A daily update on the web site lists which of the 34 types are currently available. 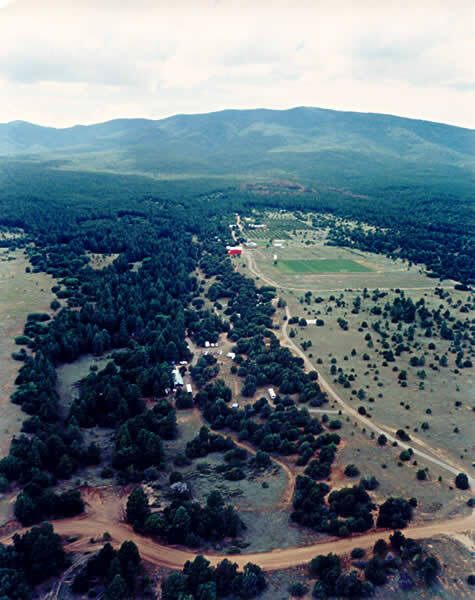 The aerial shot below, taken from the Manzano Mountain Retreat website shows the orchards cut out of the forest.